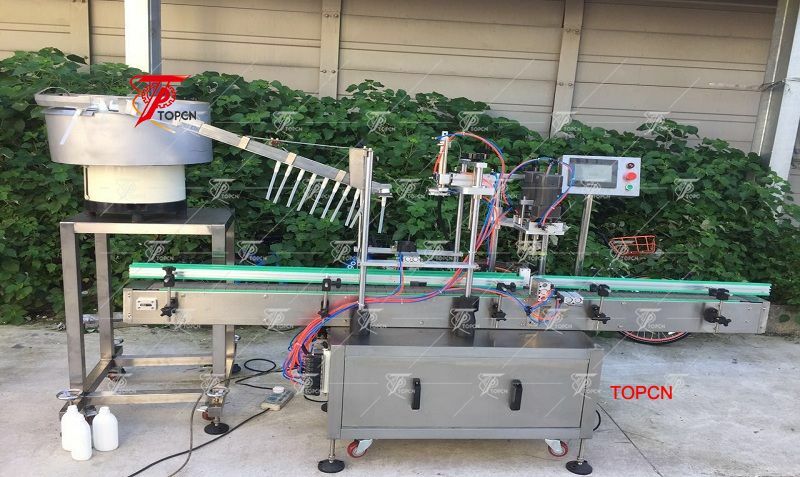 Automatic spray bottle filling capping and labeling machine depends on the different products and various filling requests of the customers, for example, high viscosity or sticky cream, paste, such as, tomato paste, ketchup, jam, sauce, butter, chocolate paste, cosmetics cream, etc., low viscosity liquid products, such as, juice, beverage, shampoo, lotion, laundry detergent, dish detergent, wine, soybean sauce, vinegar, edible oil,cooking oil, drinking water, etc., and liquid chemical products, liquid pesticide, liquid fertilizer, liquid medicine, etc. 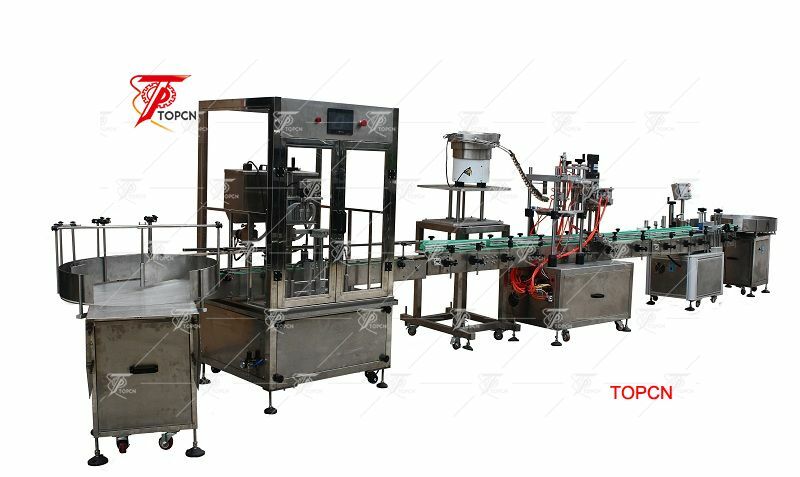 *** Our company can design and produce suitable filling machines with matched filling system, such as, underflow pump, free-flow pump, flow-meter pump, piston pump, gear pump, screw pump, peristaltic pump, ceramic pump, electric weighs, etc., and depends on the filling volumes and production amount, the filling machines can be equipped with 1, 2, 4, 6, 8, 10, 12, 16 filling nozzles. 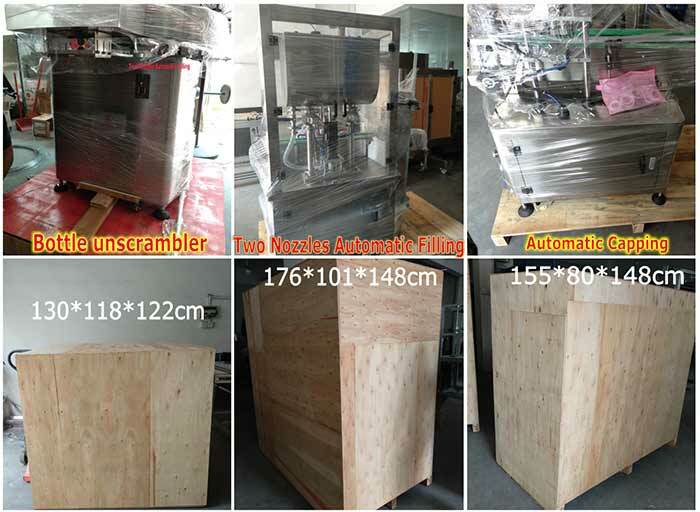 *** The parts contact with products are made of high-class SUS 304, SUS 316 and SUS 316L. 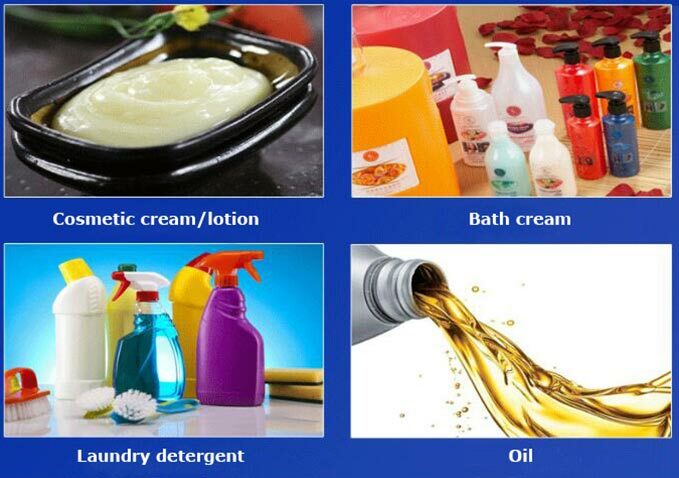 Sanitary comply with GMP standard. 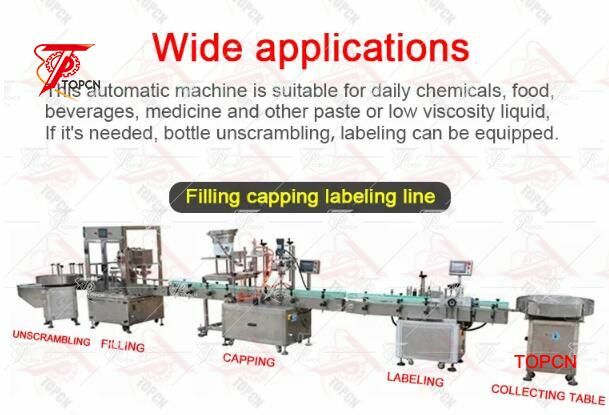 The machines with reasonable structure, advanced technology, high precision filling, stable performances, simple and easy operation, can be used independently, and can also equipped with automatic bottles unscrambler, automatic stopper pressing machine, automatic caps screwing machine, automatic caps crimping machine, automatic bottles sealing machine, automatic date/batch codes printer, automatic carton/box loading machine, to be automatic filling production line. 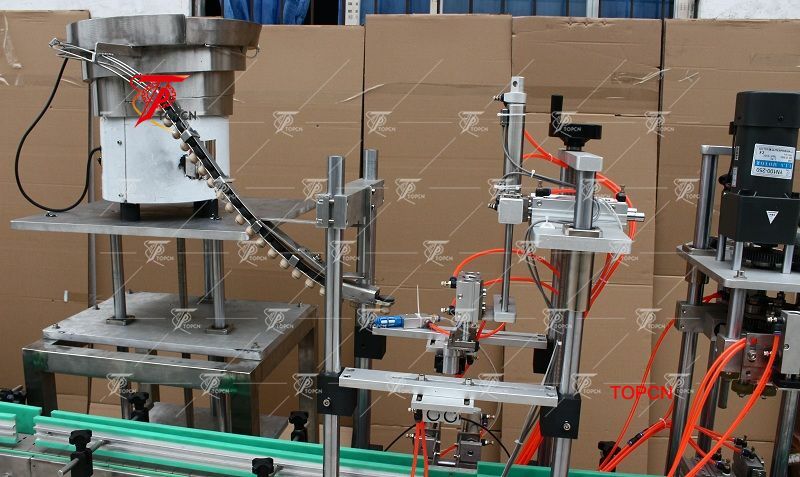 *** With a high automation degree, finished products with a high qualified ratio, significantly saving manpower cost.